JUSTIMOR – The spying was the crime. The truth-tellers are heroes. The spying was the crime. The truth-tellers are heroes. Add your name to the thousands of people calling for the charges to be dropped. Suppression orders and lawyers’ arrogance undermine democracy Bernard Keane - Crikey, 13 December 2018 The resort to suppression orders by our courts undermines faith in the legal system and is used by the legal industry to avoid scrutiny. The controversial law that will decide the future of the Witness K trial Madeleine Miller - Crikey, 15 November 2018 The Witness K and Bernard Collaery case could well continue behind closed doors, prompting great concern over their right to a fair trial. But who gets to make the decision? Watch this 3 minute YouTube by JuiceMedia. Brilliant summary of the issues. A Juicy history indeed. A growing number of the signatures on our petition are from overseas. 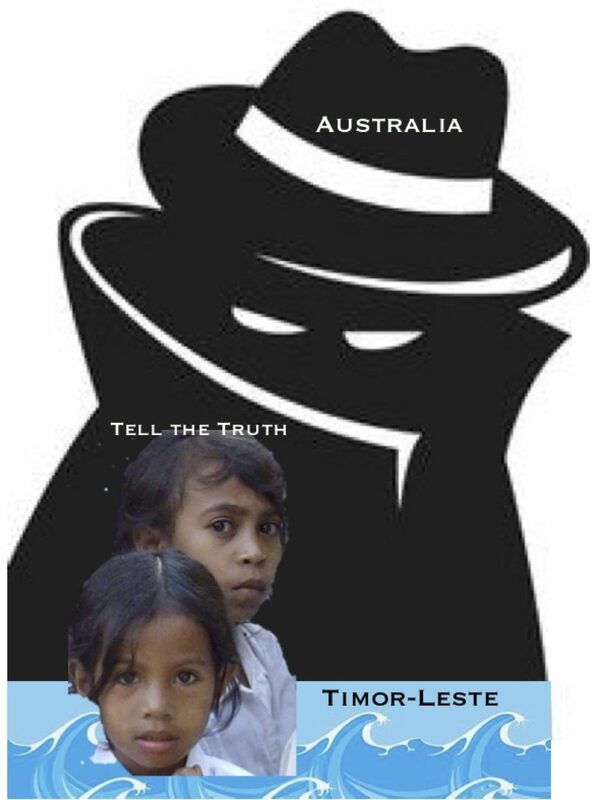 More and more people are learning about the despicable Australian spying on Timor and now, of the unconscionable pursuit and persecution of the two heroes and patriots who told the truth. The UK Financial Times has this article: 'Australia's Watergate' .